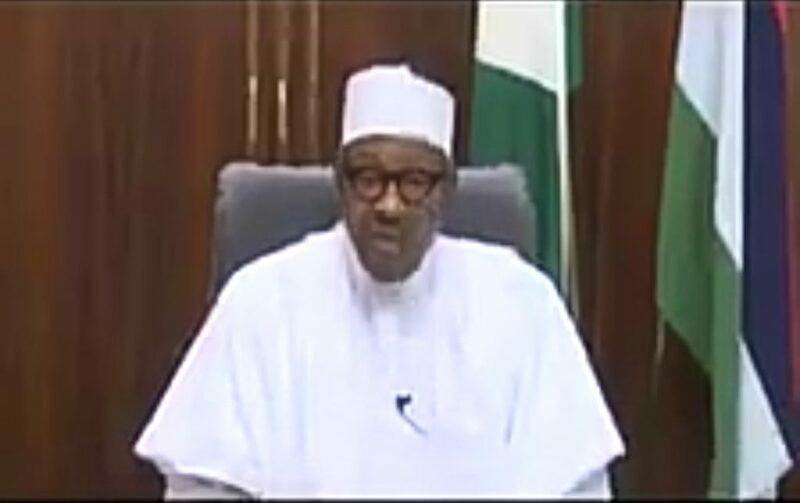 Nigerians are not used to Buhari addressing them on the national Tv not even in good or bad times except for the compulsory remarkable periods such as new year, workers day or independence speech. He often preferred to address them from the comfort of his seat abroad. However, he addressed Nigerians soliciting for their support to remain in office. 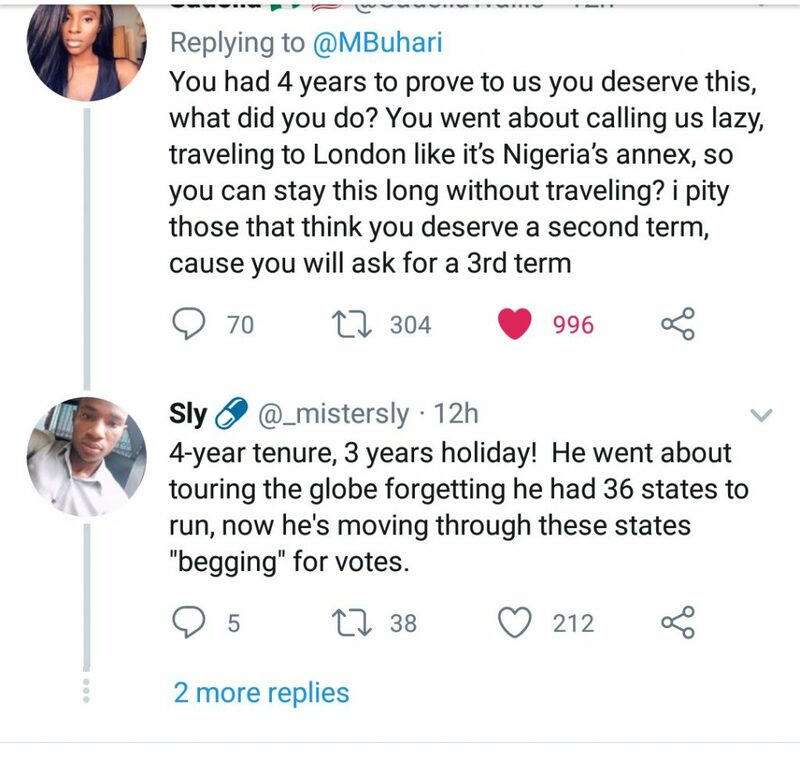 Unfortunately, Nigerians ain’t smiling this time around as the replies openly show how depressed and unimpressed most Nigerians are with his ineptitude government. Surprisingly, none of his supporters came to defend him to the dismay of everyone. This is the official handle of the president and he is expected to be reading every single thread as feedback. Unfortunately, his mammoth crowd are not here to rescue him. No sir, you won’t get my support. You sir are very tribalistic, nepotic and you lack respect for rule of law. Your fight against corruption is a fight against opposition. No sir, you won’t get my support and I’ll make sure nobody I know gives you their support. No sir I won’t support you, your re-election will further divide Nigeria. It’ll bring anarchy, carnage and war. What we need is progress, unity and prosperity. You have demonstrated exactly the opposite, so no sir I won’t support you. Is today u r addressing us bcz of elections. Ranin wayo. You don't rate us at all. Why are you asking for our support while you already said even without campaigning you have won the election already? Mtchww… Waste of time and mb…I won't give you my vote again. Weldone Mr President, tank u for fighting corruption, is time to hand over to Atiku to fight poverty. Go and and rest. They have given you script to read again abii? Well, for the genuine love I have for you, for I subscribed to campaign…. After elections again , you will go on ghost mode and start talking to us from abroad.